UPDATED: Thu., Aug. 23, 2018, 9:50 p.m.
A man shot by Spokane County Sheriff’s SWAT team members Sunday in Spokane Valley has been identified as Bryan C. Bayne. Bayne, 42, died of multiple gunshot wounds, the Spokane County medical examiner ruled. The manner of death is listed as homicide. 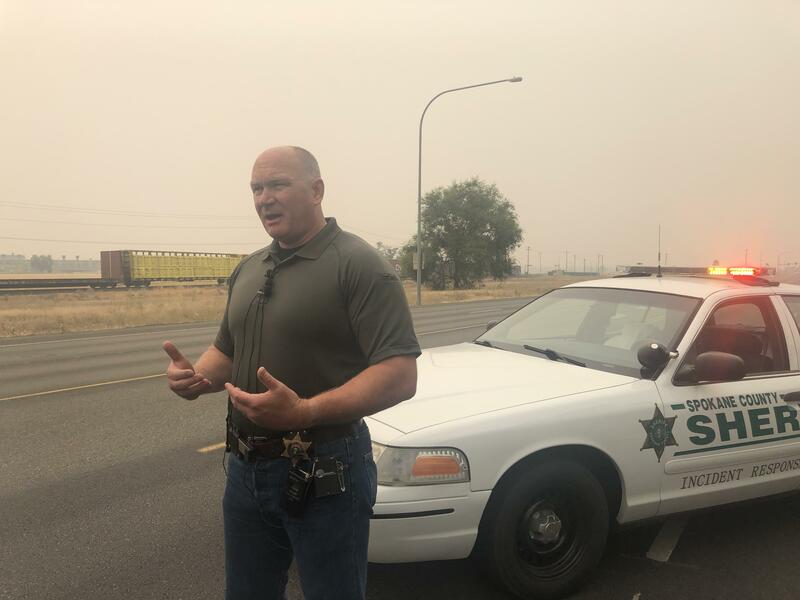 A news release sent Thursday by the Spokane Investigative Regional Response Team said seven deputies have been placed on administrative leave, per protocol, suggesting Bayne was fired at or shot by at least seven members of law enforcement. The release said the group fired a mixture of lethal and nonlethal rounds. Bayne was killed at about 10:30 a.m. Sunday after witnesses reported a man acting erratically and holding a gun to his head after having broken out the windows of his truck about two hours earlier. He was parked at a Mobil gas station near the intersection of Trent Avenue and Evergreen Road. During the standoff, deputies said Bayne ignored commands from officers, moved the handgun around the vehicle and placed it to his head. After moving closer to the vehicle, SWAT members “perceived an imminent threat and fired their weapons,” according to a department news release. Deputies didn’t discover Bayne was killed until they approached the vehicle again, with another plan to de-escalate. Bayne was pronounced dead at the scene. A search of court records shows Bayne recently was evicted by Dezda Finn Properties, a Spokane property management company. Records show he lost at an eviction hearing on Aug. 3. The incident is the third deputy-involved shooting since July 25, when Richard R. Bahr, 54, was shot and killed after kidnapping a woman and reportedly attempting to run over a deputy with his vehicle in East Central. Josh A. Martin, 31, was shot and killed by a deputy after crashing his truck in the area of North Sherman Road and West Findley Road in northern Spokane County and saying he wanted to kill himself. After arriving, a deputy said Martin grabbed at a handgun and raised it toward the deputy, who fired his weapon. Published: Aug. 23, 2018, 3:39 p.m. Updated: Aug. 23, 2018, 9:50 p.m.